"I never knew that the Guinness World Record Book was so... I never knew it was so important. Some people sort of ruin their lives to be in there." One might ask, "so if I wanted to be in the top 10 at Donkey Kong, or even break the world record, what would that take?" Aside from the basic situational prerequisites—that is, the means and opportunity to play in the first place—it's not so much a matter of what you need to do as it is a matter of the qualities you need to possess. One in particular stands above all others. It's not fast reflexes, it's not intelligence, it's not stamina, it's not even concentration (though all of those help). What you need, more than anything else, is obsession. Classic gaming is not for the faint of heart. (Literally—two different players actually died of heart attacks while playing Berzerk). A potential Donkey Kong champion must be consumed by a desire to conquer the game that goes well beyond the margins of rational human behavior. You have to be willing to throw yourself utterly and with the straightest of faces at something that is, frankly, totally ridiculous. Spending some time nearly every day (and perhaps falling into the occasional twelve-hour pothole) struggling against a thirty-year-old arcade game needs to be a proposition you can embrace. This is true, at least, during the skill-building phase. As you improve, and you push your "A" game further, and your one-time "A" game becomes your "B" game, the "B" game requires a lot less of you. But the next "A" is always beyond a plateau, and you will need to do a lot of pushing to crack through it. The only tool sharp enough is madness. If your laundry is piling up, your windowshades are drawn, your hands ache, and you just peed into a bottle in order to preserve a game that was going well, then you've got the right idea. 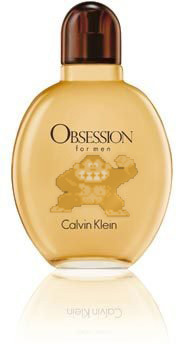 Obsession is probably a requirement for high-level competition at anything, but Donkey Kong is particularly lonely. It's all between you and the game, and you shouldn't necessarily expect everybody in your social circle to endorse what you're going for. You can get to the top without being the smartest or the fastest, but the fire that burns the coal is passion, and without it, you won't move. I play on a X Unleash emulator on an original xbox and trying hard in this fashion,couldnt score past 130k.When my obsession went away a couple months later,I picked it back up and played like I didnt give a damn.After Id lost all my lives,I looked up and to my suprise,had scored 238k at lvl.7.I think I may give this game another try in the near future.